The Cancer Clinical Trials Office (CCTO) at Stanford University, Palo Alto, CA, oversees a large clinical trials program. 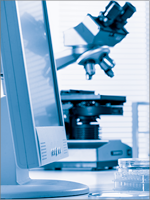 It provides regulatory, financial, research, and educational services for investigators conducting clinical trials. Programs at the CCTO increase awareness and accrual to clinical trials, and consistently seek to improve the quality and efficiencies of conducting clinical trials so as to comply with regulatory, documentation, and oversight requirements. In addition, the CCTO coordinates outreach efforts in the community, and promotes interdisciplinary collaborations and translational medical research. The Oncology Nurse-APN/PA spoke with Andrea F. Plati, MSN, RN, OCN, about her role as the Associate Director of Clinical Research Operations at Stanford University’s CCTO. Can you describe your role at the CCTO overseeing 300+ clinical trials? Andrea F. Plati (AFP): With the Director, Brenda Hann, RN, MBA, CCRC, I oversee clinical trials in multiple disease groups. Currently, I am responsible for the blood and marrow transplant team, the hematology team, and the gynecologic and breast cancers team. There are supervisors for each of these teams who report to me. I am also involved in the development of a new phase 1 trials program. levels. 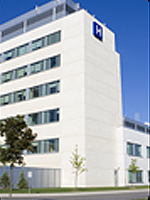 I also collaborate with Stanford Healthcare to ensure that good clinical practices and protocol integrity are maintained in all patient care areas. AFP: My biggest challenge is maintaining adequate staffing. In this area of California, the unemployment rate is very low, and there is stiff competition from the pharmaceutical industry for qualified employees. In some cases, our staff members may work here for 2 to 5 years and go on to higher-paying jobs in the pharmaceutical industry. In an effort to retain qualified employees, we have increased salaries and benefits; we offer up to 4 years of partial funding toward college tuition for employees’ children, and have a generous matching 401B plan for retirement. We offer excellent health benefits, as well as liberal vacation and sick time. In other cases, we attract young people with some experience in research who love the sciences. Many of them stay for 2 to 4 years, and then go off to medical school. Some of them return to Stanford. What is rewarding about your job? AFP: I love working with different teams and seeing improvements in good clinical practices. Developing cooperation and camaraderie among the team members is satisfying. For example, our hematology division encompasses 5 different disease groups. The individual teams for these disease groups operate as one cohesive, cooperative team and help each other even though each is responsible for only a specific disease process. I go to work each day to see my teams cooperate and improve so that they provide the best possible patient care. The teams have to follow protocols, reviewing and checking each protocol step for 100% accuracy. There is no room for error in clinical research. The teams are also responsible for tracking patient progress, scheduling patient testing and gathering the test data, determining whether patients remain eligible under the trial guidelines, and, of course, correctly billing for procedures. What are some of the exciting trials you are overseeing? AFP: To me, the most exciting areas are targeted therapies, genetics, and immunotherapies. Stanford currently has an ongoing clinical trial in acute myeloid leukemia. In this trial, a proprietary drug is achieving excellent responses in some patients, providing a glimmer of hope for subsets of patients within this difficult-to-treat cancer. We also have a new researcher from the National Cancer Institute (NCI), Shivaani Kummar, MD, who is heading an integrated translational research program in phase 1 drug development. I am very fortunate to be working with Dr Kummar and her new staff at a very exciting time in research. AFP: After 11 years as a labor and delivery nurse, I transitioned to oncology at Massachusetts General Hospital. At Massachusetts General Hospital, I was involved with phase 1 protocols in the outpatient infusion center, and also provided standard patient care for oncology patients. I relocated to the Washington, DC, area and worked in oncology at the Georgetown University Hospital, and then moved to the NCI, where I managed inpatient hematology/oncology and outpatient units. After my husband was transferred to California, I took a position at Stanford Healthcare, and subsequently transitioned to my present position with the Stanford University CCTO. What advice would you give to someone who wants to become an oncology nurse? AFP: Many people think that hanging a chemotherapy is all there is to being an oncology nurse—but hanging a chemotherapy is the easy part. The hard part is to understand how the chemotherapy is affecting the patient. I would suggest spending 1 year as a medical/surgical nurse to get a good foundation in critical thinking and listening skills, and to learn how to focus on the patient. Another route is to find an oncology internship at a good academic center/teaching hospital. In addition to education and experience, a good oncology nurse needs critical thinking skills, as well as drive and compassion. What would you do if you won the lottery? Would you stay at your job? AFP: I would do volunteer work to promote development of good hospice houses in my area. There is a critical need for hospice care in this country, and it is very satisfying work. My awareness of this need stems from my oncology background, as well as my sister’s volunteer work with a hospice in Tulsa, OK, where they have an excellent hospice house.